Exactly one month remains until the moment when, in accordance with the instructions of the US President Donald Trump, the most unprecedented trade duties in the world history of 200 billion dollars will be introduced in relation to China. Beijing is struggling to prevent this, which makes the position of the Chinese negotiators more flexible. On January 30 and 31, another round of trade negotiations took place in Washington between the Chinese representative Liu He and the United States Trade Representative Robert Lightheiser, a supporter of hard pressure on Beijing. After the talks, Donald Trump held a briefing for journalists in the Oval Office of the White House. The president noted that “substantial progress has been made,” and China agreed to increase imports from the United States. At the same time, according to Trump, the United States needs a “good deal” with China, so negotiations will continue in February. According to Bloomberg, following the two-day talks, China promised to “substantially” expand purchases of goods from the United States. Both sides are now planning further discussions to achieve a breakthrough and meet the deadline before March 1. According to agency sources, the negotiations were “frank, concrete and fruitful.” The same wording is contained in the informational message of the Chinese agency Xinhua. In general, the description of the results sounds rather vague. In a broad sense, a similar outcome of the two-day talks looks like a concession. What have we seen for at least half of last year? Both countries attacked each other with duties, which already began to have a negative effect on the entire global economy. Negotiations did not inspire optimism: they failed through round after round until Trump met with PRC Chairman Xi Jinping on December 1, at which a 90-day truce was declared in a trade war. The official American position is almost at odds with what the Chinese side said. In a statement, the White House did not list any new commitments to either side, saying only that progress had been made and that "there was still a lot of work to do." The US administration also reiterated its threat of raising duties on Chinese goods on March 1, unless a “satisfactory result” was obtained. After the talks, Trump held a briefing in the Oval Office of the White House. The president of the United States said that the teams had made "tremendous progress," but that "does not mean that we made a deal." Trump told about the details: China agreed to buy a large amount of American soybeans, which is "a sign of good faith." According to him, American farmers "will be just happy." Negotiations were conducted around three key themes: trade, structural issues and enforcement. In general, the Chinese trade representative presented a whole package of concessions, which, however, are modest, sources said. In the package - the expansion of purchases from the United States of agricultural and energy products and promises to attract more US capital in the manufacturing sector and financial services sector. In short, the Chinese knew how to bribe American negotiators. However, as the newspaper notes, this Chinese proposal does not correspond to what they want in Washington. It is for this reason that Trump intends to continue negotiations. And increase the pressure on Beijing. Let's not forget that the goal of the United States is not to create more fair trade conditions with China for Washington, but to undermine the economic potential of the Middle Kingdom, to slow down its economic development. Lightheiser transparently hinted that he was not able to really talk about "fighting Chinese protectionism" and "removing pressure" on American companies in China in order to transfer technology to Chinese partners. That is why Washington’s “thirst” is not satisfied - it has little to increase purchases and reduce the trade deficit, he wants to keep under control the subsidies that Chinese companies receive from their government. And this, to put it mildly, is not at all an American affair, and this position is firmly in Beijing. Washington really needs to take serious measures to reduce its trade deficit with China. 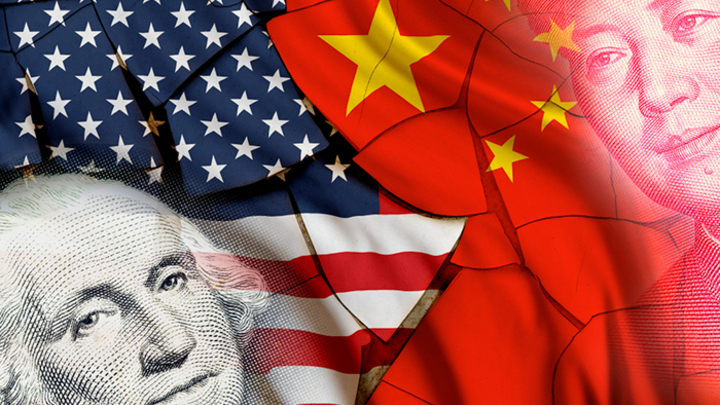 According to the US Department of Commerce, which Bloomberg leads, in 2017, the US exported Chinese goods worth $ 523.7 billion, and only sold $ 188 billion to China, that is, the difference reached $ 335.7 billion. In 2012, it amounted to 295 billion dollars. Trump also raised the question of the possibility of a personal meeting with Xi Jinping after receiving an official invitation from the Chinese leader. Earlier, he wrote on Twitter that “the final deal will not be concluded until my friend President Xi and I meet in the near future.” Such an opportunity may be presented at the end of February, after the planned meeting of the US President with the North Korean leader Kim Jong-un. According to Trump's advisors, at the proposed meeting with Xi Jinping, the head of the White House will be under heavy pressure, the purpose of which will be to prevent an increase in duties. The deal must also be made, because if the parties meet in China, the failure will be perceived as "a slap in the face of the Chinese leader, whom Trump constantly calls his friend." Trump is already under heavy pressure within the United States, as the US economy is slowing down due to a trade war. In the bottom line on the results of the talks on January 30 and 31 in the US, we still see that China has made concessions to Trump. This gives him reason to talk now about a quick "good deal", than he calms his opponents inside the country. But it is obvious that all the results will be visible in February, when Washington will put a lot of pressure on Beijing. Moreover, the American trade representative Lighthizer adheres to a policy of increasing pressure, and Trump wants the deal to be concluded by this official. Only the question of how far China will go in its concessions remains open. The main problem will be the question of Chinese economic sovereignty, since Washington intends to achieve "strangulation" of China’s business by the hands of the Celestial Government itself. And this is exactly the concession that Beijing has not made now.